For maximum freshness, please keep seed refrigerated in its original packaging until it is time to plant. Sow seed in containers in a cold frame. 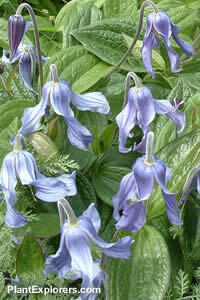 Grow in fertile, humusy well-drained soil in full sun, with roots and base of the plant in shade. Mulch in late winter with compost or well-rotted manure; avoid covering the crown. Cut back all previous year's growth to a pair of strong buds 6-8 inches off the ground in spring.